Rotterdam is the second-largest city in the Netherlands with 618 500 inhabitants and one of the largest ports in the world. Starting as a dam constructed in 1270 on the Rotte River, Rotterdam has grown into a major international commercial centre. Its strategic location at the Rhine-Meuse-Scheldt delta on the North Sea and at the heart of a massive rail, road, air and inland waterway distribution system extending throughout Europe is the reason that Rotterdam is often called the « Gateway to Europe ». Rotterdam is known for its university (Erasmus), cutting-edge architecture, lively cultural life, striking riverside setting and maritime heritage. 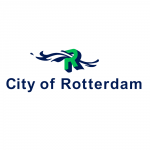 Rotterdam has the largest port in Europe and one of the busiest ports in the world. Many economic activities are related to the harbor. The city comprise an area of 326 km2 of which 209 km2 is land and 117 km2 is water. The population of 618.500 inhabitants is multi-cultural and includes 176 different nationalities. For a good management all our assets we have a strong multifunctional database on witch we can base our maintenance programs. For lights and poles we register age, location and types of materials used. This is the base for our maintenance plans, for example the scedules for replacement of lamps, the conservation of lampposts and the scedules for replacement investments. Failures of the public lighting can be reported by the inhabitants at a special phonenumber for the city. Each report of a failure is send to a maintenance contractor. 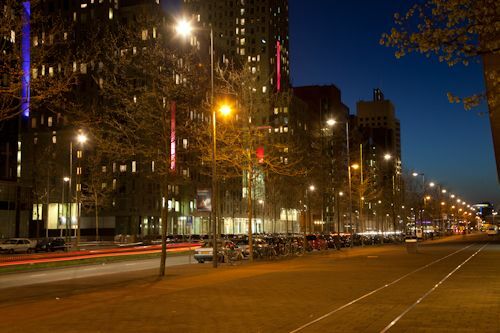 A part of the public lighting is controlled by a tele-management system, which system reports every day to the assetmanager which lamps have failures. The repair of failures in the installation are housed in a contract for 4 years. The contractor is hold to repair every failure within 3 working days. The replacement investments are also housed in a contract with a specialized contractor. To reduce energy levels and energy pollution by applying technological innovations which contribute tot sustainability on a city-wide scale. 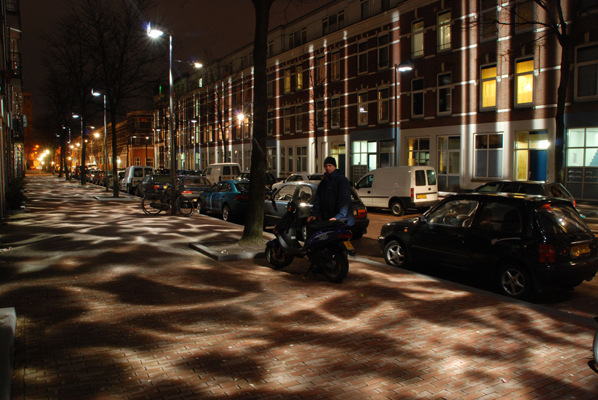 In the local district of Schiebroek the public lighting of a residential area of 1.100 luminaires are replaced by Led-luminaires with a telemanagement system. The lamps are dimmed in the night during 6 hours up to 50%. For the illumination of the ‘World Museum’, an historic building from the 19th century a new plan was made and a tender was hold. The realization will start in july 2014. 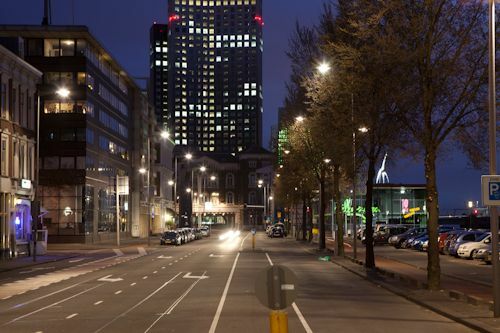 From 2010 untill 2013 the lighting of 180 km (low and high pressure sodium lamps) of main roads in the city was replaced by energy efficient lamps with dimmingunits. During 6 hours in the night the lamps are dimmed to 50%. 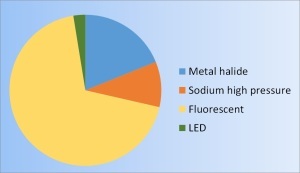 The city will only use the most energy efficient lighting. In this framework is decided to install only led-lamps from the start of 2014. Where possible dimming will be installed everywhere in combination with replacement investments. The use of tele-management systems will continue and will be extended. 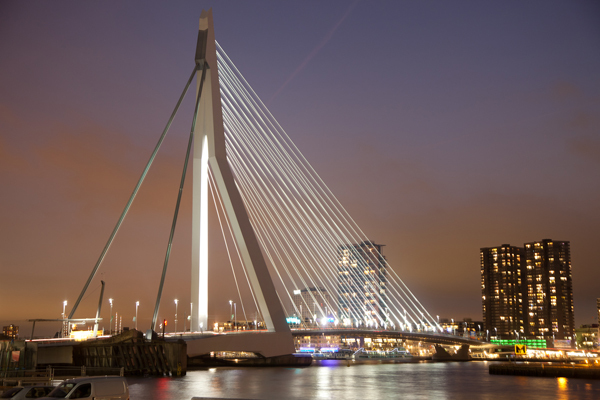 In May 2017, Rotterdam was featured in Cities & Lighting #5, for the inauguration of a new LED lighting on the Erasmus Bridge. 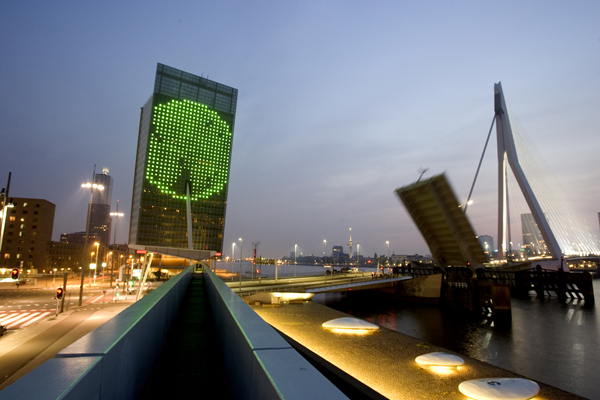 It is a symbol of the Rotterdam skyline, and the second largest bridge in the Netherlands.